The Jacksonville criminal law attorneys at The Law Office of David Goldman PLLC dedicate themselves in defending Jacksonville, Florida residents the state has accused of criminal offenses. The lawyers are experienced criminal trial attorneys that have represented many individuals that the States Attorney Office charged with domestic battery. 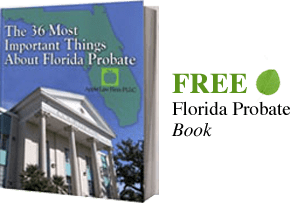 What is Domestic Battery in Florida? In Florida, a Domestic battery is what those in the legal field refer to as violence in the home. A typical example of a domestic battery charge in Jacksonville is when a spouse physically hurts another spouse. Jacksonville police take this crime very seriously, and can even charge the accused with a felony domestic violence crime if the injuries are severe. First, it is important to understand how the Florida Statutes define a battery. The definition is rather simple. Florida defines a battery as an intentional touching that is against the will of another person. For example, if you punch a stranger in the face for no reason at all, then you have most likely committed a battery. If you intentionally cause another object to touch another, you have also committed a battery. The Jacksonville States Attorney office can charge a battery as a misdemeanor or felony depending on the victim’s injury. A felony charge means the accused is facing more than one year of jail time, while a person charged with a misdemeanor will usually face less than a year of jail time. In Florida, there are many different forms of battery the state considers serious enough to be a felony. For instance, an aggravated battery in Jacksonville is when a person commits a battery and either: 1) intentionally or knowingly causes great bodily harm, permanent disability, or permanent disfigurement, or 2) uses a deadly weapon. A person accused of domestic battery can find the law under Florida Statute Section 784.041 under the title of “Felony battery; domestic battery by strangulation”. The statute states a person commits felony battery if he or she: a) actually and intentionally touches or strikes another person against the will of the other; and, b) causes great bodily harm, permanent disability, or permanent disfigurement. The statute also has the additional crime of domestic battery by strangulation. This is when a person knowingly and intentionally, against the will of another, impedes the normal breathing or circulation of the blood of a family member, household member, or of a person with whom he or she is in a dating relationship. The stoppage of breathing must be severe enough to create a risk of or cause great bodily harm by choking the throat of the other person, or by blocking the nose or mouth of the other person. How Does the Law Define Family Members? The Jacksonville criminal defense attorneys at The Law Office of David Goldman have the skills and experience needed to handle charges related to battery, domestic battery, sexual battery, and aggravated battery with a deadly weapon and a firearm. In Jacksonville, an individual that is convicted of a domestic battery will face some minimum punishments that include jail time and probation. A person facing the minimum sentence must serve five days in jail, and must complete the Batterers’ Intervention Program if the offense does not warrant extensive jail time. An experienced criminal defense attorney can negotiate with the States Attorneys to waive the five-day jail sentence, but it is unlikely that someone who is convicted of domestic battery can avoid the intervention program. This program usually takes around twenty-six weeks to complete. The convicted person will attend a class once a week, and the course requires the attendee to complete homework assignments each week as well. If the individual does not complete the program or is kicked out of the program, then the individual will face a violation of probation charge. The program’s administrators can remove a participant for excessive absences, lack of participation, or failing to complete the homework assignments. In Jacksonville Florida, Domestic Battery is a serious misdemeanor. Additionally, it can be upgraded to a felony if the defendant has a prior domestic battery conviction. If you are arrested for domestic battery, you need an attorney with extensive experience with domestic battery cases in Jacksonville Florida. Speak with a Jacksonville Florida Domestic Battery Attorney that understands that your future is at stake. Contact our Jacksonville Criminal Defense Lawyers by email or by calling 904-685-1200.